Decorating a college dorm room for the holidays isn't impossible. Like your other dorm essentials, you need to think compact. Thinking about compact dorm essentials for your college dorm room doesn't mean you'll have any less dorm room decor. It just means you need to think creatively. When you're planning on dorm room decorating for Christmas, it may seem impossible to be able to have compact dorm necessities to add to your dorm room decor during the holidays. 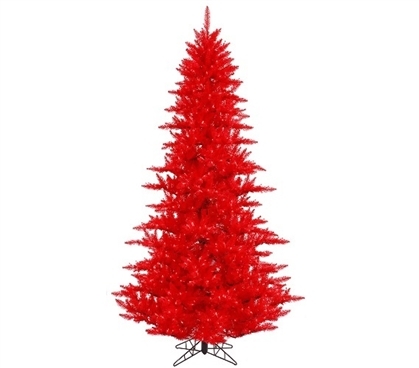 However, with dorm essentials like our 3'x25" Red Fir Tree with Mini Lights, it isn't impossible! Our Red Fir Tree with Mini Lights is perfectly sized for a college dorm room. You can choose to place this dorm necessities item in a corner of your college dorm room, or you can place it on top of your dorm dresser. The best part is the compact size of this dorm essentials item won't have you losing too much dorm room storage space during the holiday season. This dorm item isn't just compact, it also has a cool color that will add to your dorm room decor for the holidays. Featuring bright red branches with red mini dorm lights on red wire, your dorm room decor for the holidays will be sure to impress your friends!